Time passes, circumstances change, but the main aim of business is still the same: Generate profit. No profit, no resources for further development, and no company. This often leads to trouble for marketers. They are very often simply unable to quantify effects of their work—their contribution to their company’s profit. Customer Value Marketing is a new strategy for the B2C sector, aiming at profit maximization from marketing activities. Customer Value Marketing contradicts the traditionally understood inbound and engagement marketing, making marketers directly responsible for the process of income production. The strategy is based on the customer value and marketing automation concepts, with the main aim of building the highest possible value of a customer over time. This goal is accomplished through automatically personalized client-seller communication. 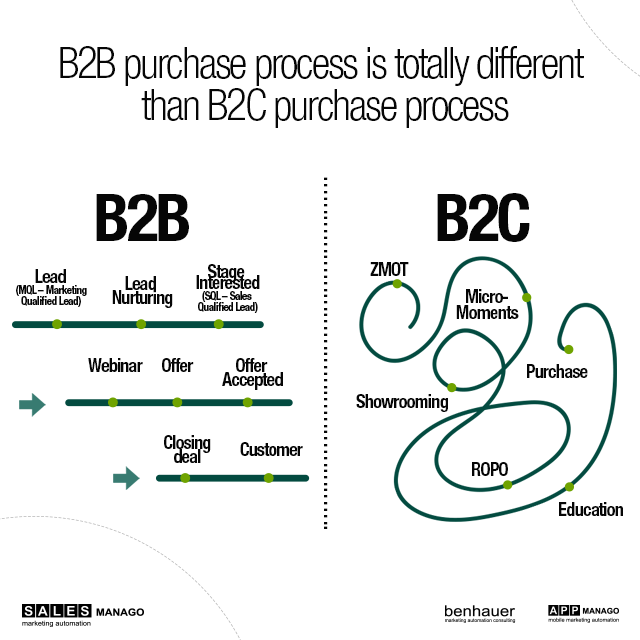 The B2C purchase process is nonlinear and less predictable. That’s the reason why acquiring new clients in this sector is hard, costs a lot, and takes a long time. A 60–70 percent probability that a person who has already bought something from you will buy it again. A 50 percent chance that your existing clients will want to try your new product. 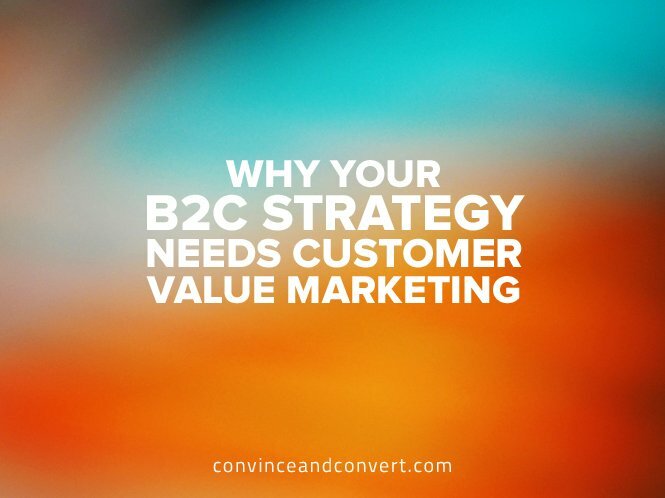 Customer Value Marketing includes this specific characteristic of the B2C sector, not focusing as much on acquiring new clients as the traditional, B2B-oriented marketing automation strategies while putting a strong emphasis on keeping and maximizing profit from the existing customers. How Does CVM Maximize Profits from Each Client? According to Customer Value Marketing, the better the personalization of content, timing, and channel of communication, the higher OR, CTR, conversion, and ROI. If you want to get the best effects, execute personalization at each and every step of the lead management process, from lead nurturing to lead retention. Customer Value Marketing posits that the process of personalization should not end at the moment of the purchase. As time passes, customers change their interests, shopping patterns, and habits. Therefore, it is critical to make the personalization-related tasks an ongoing, not a one-time, activity. Dynamic personalization allows you to both keep the customer and increase her value over the time. How Does CVM Intensify the Personalization Process? The primary method to increase the level of marketing personalization, in order to accomplish Customer Value Marketing, is an automated and enhanced version of the well-known RFM analysis (Recency, Frequency, Monetary). However, RFM analysis alone would not be of much use without detailed data about the customers. Currently available marketing automation tools enable gathering “digital body language” data (e.g. type of communication channel most used, most-viewed products, geographical location) by tracking any person’s activity on the internet. Data needed for the analysis is gathered from multiple channels: during client’s visit on the website, through email correspondence, by customer’s activity in the mobile channel, etc. 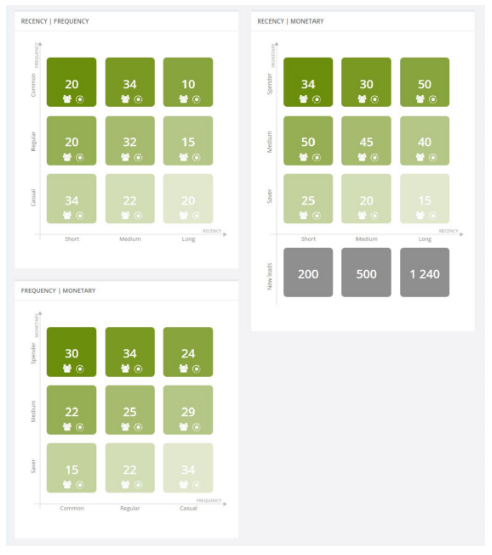 Enriched with such detailed data, marketing automation-based RFM analysis allows for clients’ segmentation into groups according to three factors: recency, frequency, and monetary value of the purchase. This division can be used to achieve a higher level of personalization. 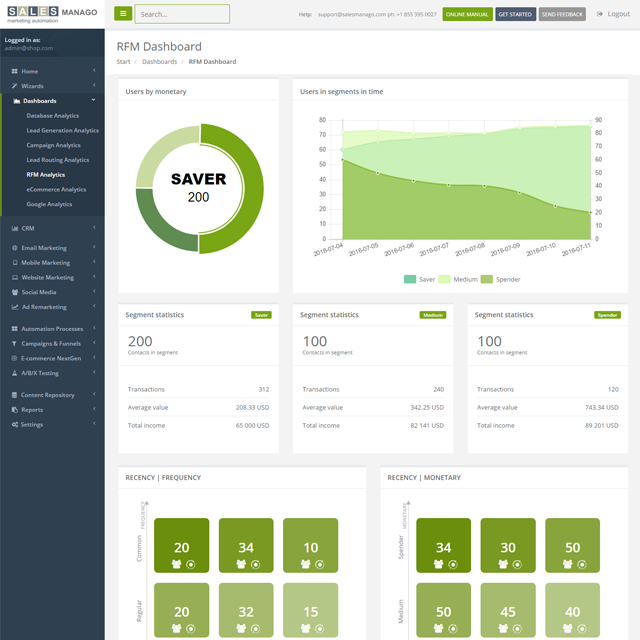 What is more, RFM analysis enables increasing customer value over time. Move your contacts between the segments and adjust the communication pattern to the changes in their interest or purchase frequency. 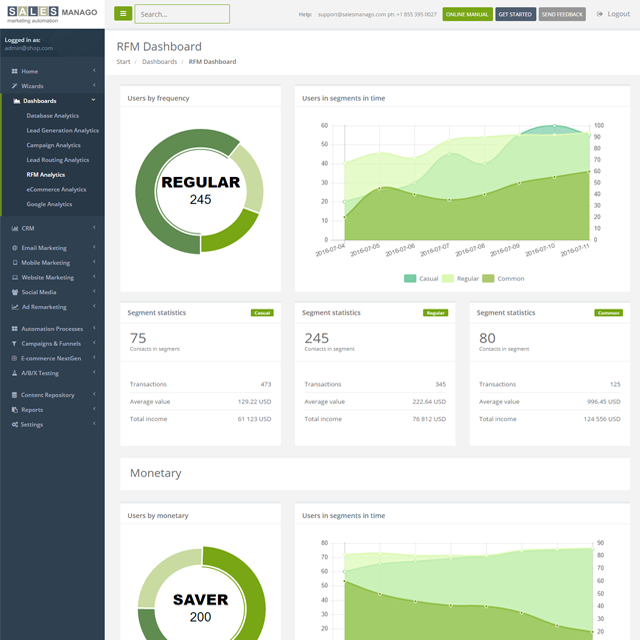 The dynamic, 360-degree customer view based on the RFM model can be used to create an entirely new structure of marketing automation processes, while using email, mobile apps, social media, advertising networks, POS, and brick-and-mortar stores, with the aim of leading the user towards the highest customer value segments. 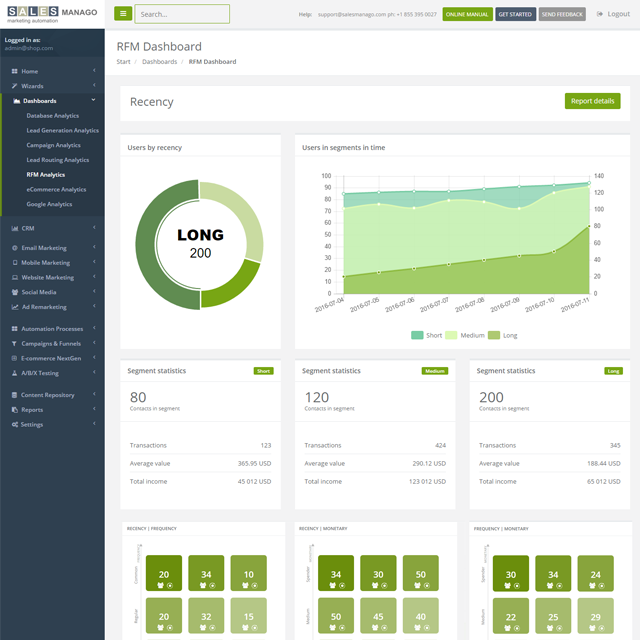 Try out RFM analysis, and watch profit increase from every customer over time—the goal of Customer Value Marketing. Greg Blazewicz is CEO and founder of SALESmanago, a cloud-based European marketing automation platform used by more than 5,000 companies worldwide. For six years, he held the position of marketing director at Comarch. In 2006, he was named CEO of Interia, one of the largest horizontal internet portals in Europe. He has 18 years of experience in marketing, including 7 years on a marketing director post.